So you’ve been thinking about a new vehicle for your family, and an SUV is sounding like it’s the right choice. It certainly is a good one because an SUV can grow along with you and your family, offering an accommodating, versatile amount of space for everything from the daily routine to a trip out on the open road. Your new SUV will be your family’s chaperone through it all. Now, which SUV is best for you and yours? Versatile seating, cargo transportation, trailer-towing capability, efficiency, safety—these are the hallmarks of a Ford SUV or CUV. And the new 2018 Ford Escape model does all this particularly well. Or should you require greater power from your SUV, perhaps the 2018 Ford Explorer would be better suited to you. Ford has other options available to you as well, but these two models are Ford’s most popular for many reasons, and the 2018 version of the Explorer is just around the corner.  You can expect Team Ford will be one of the first dealerships to have it available to you. So regardless of your choice, you’re getting quality here. There’s a lot to be proud of when you choose Ford. Your Ford Explorer comes with a powerful 2.5L i-VCT engine (1.5L EcoBoost® engine available) paired with a 6-Speed SelectShift® automatic transmission. Together, they achieve a respectable amount of power, at 168 horsepower and 170 pound-feet of torque. This might just be all you require for city and family life in Edmonton, with plenty of power for even the harsher Canadian winters. And you’ll be pleased to hear you’ll be achieving an excellent 9.7 Combined L/100 fuel economy, as determined with Transport Canada approved test methods. The Explorer is meant to, well, explore! And that means it’s a more capable off-road vehicle than the Escape. A 3.5L Ti-VCT V6 engine is standard (2.3L EcoBoost® I-4 engine available), pushing 290 HP with 255 lb.-ft. torque. This kind of power is one of the big things that distinguish the Explorer from the Escape and its competition. If you’re thinking about towing your camper or boat for a relaxing vacation at the lake, then this vehicle, especially with it’s Trailer Sway Control option, is for you. You can expect a great fuel economy of 12.6 L/100km combined with four-wheel drive. You can expect the 2018 Ford Explorer in Edmonton this winter, available for a test drive with us here at Team Ford. In the meantime, we welcome you to browse our inventory of 2017 Ford Explorer models we’re in the process of clearing out at excellent prices! We’ve already got the brand-new 2018 Ford Escape in Edmonton, also available in our New inventory of Ford Escape models. Our should you have any question for us regarding the Ford Escape and Explorer models, we welcome you to contact our Sales team at 587-524-1525 to have all your questions answered.